Bill Bivins, Ashley Camp, Bryce Dean et al. Peter Campion, Sam Lang, Rob Rawlings et al. Stretching over five hundred miles of wilderness, cutting through dense forest and ploughing into thick snow, lies the Alaska Railroad. We make a return trip through the Last Frontier with a second series of 'Railroad Alaska', chronicling everyday challenges faced by isolated homesteaders living along Alaska's critical railway. 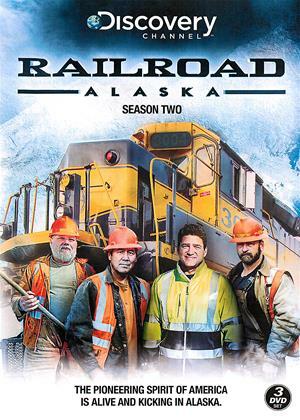 The series follows an elite crew who tirelessly work to keep the train rolling 365 days a year in order to deliver life-sustaining supplies to Americans living off the grid and miles away from civilization. With dedication, tenacity and a bit of grit, these Alaskans have truly mastered the splendor of living life on the track.